BRYAN EATON/Staff photo. 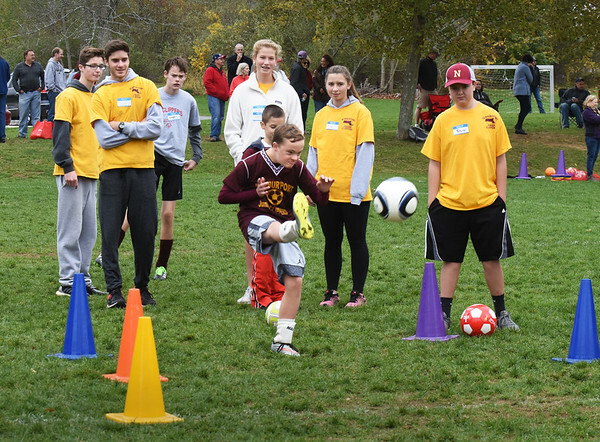 Members of the Junior Clippers Special Olympics team, comprised of Newburyport area youths, got together for a year-end scrimmage and celebration at Cherry Hill Field in Newburyport on Sunday. One of the team members is on the Endicott College women's soccer team and You're With Us, and organization that partners special need students with college teams to instill a true sense of belonging.